Love is in the air! That's right, the day of love hearts and arrow-swinging cherubs is nearly upon us. 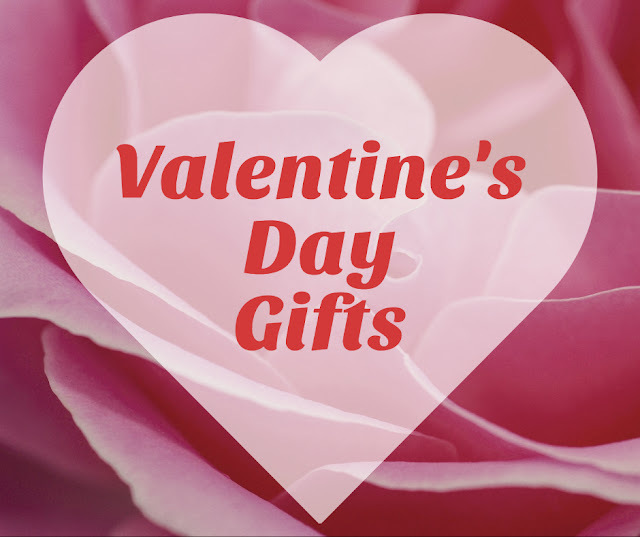 Whether you're looking for a thoughtful gift for that special someone, or simply want to celebrate with friends and family, this selection of Valentine's Day gifts and accessories is for you. 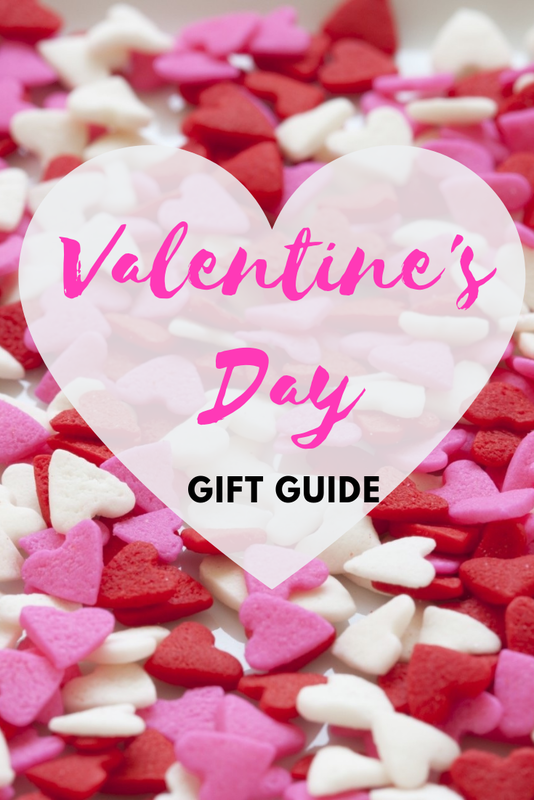 From delicious chocolates and irresistible treats, to personalised gifts and indulgent hampers, this Valentine's gift guide will leave you ready for a Valentine's Day to remember. Bright and cheerful, this Orla Kiely Flower Alarm Clock has a beautiful 3D flower shaped case in a delightful Pink. It has a minimalist retro style dial and an eye-catching domed glass lens. The stylish designer clock is sure to make a statement and add a pop of colour to any bedside table, mantelpiece or office desk. 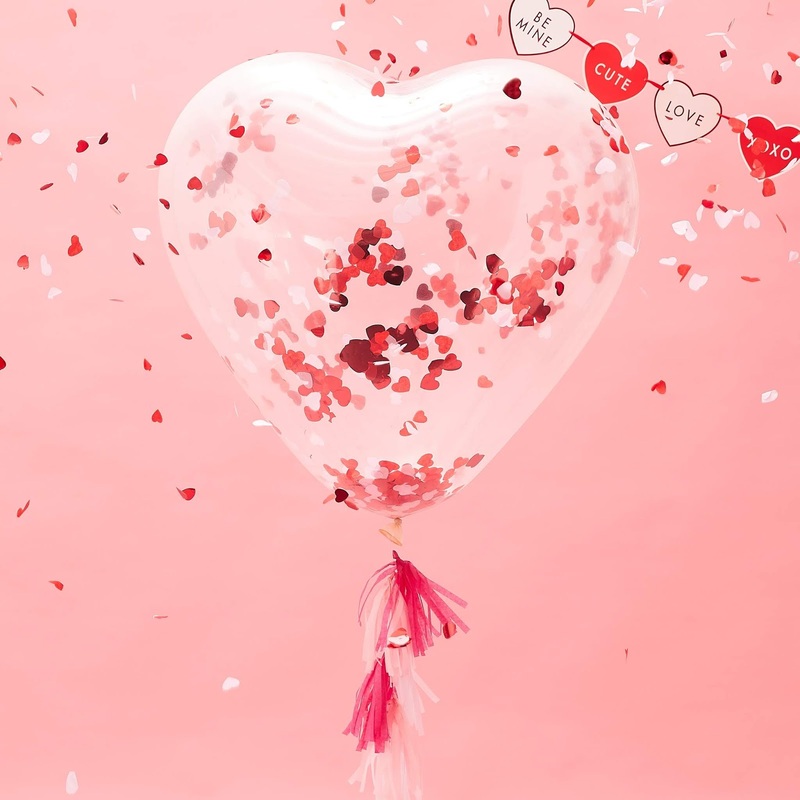 This large heart shaped confetti filled balloon is sure to melt the heart of the person you love, and will make a big impact at your valentines celebrations.This 36" heart shaped balloon with tassels can be filled with helium to float. To wake the confetti, rub with your hand or fabric whilst turning the balloon. 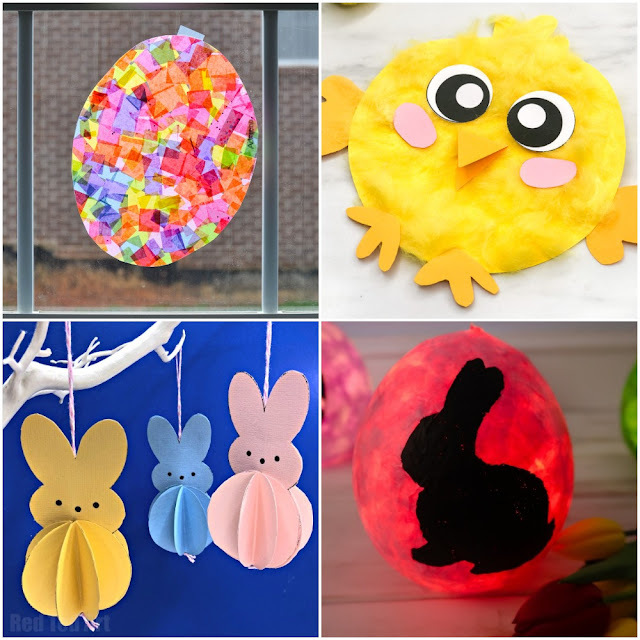 Each pack contains 1 36" balloon with tissue tassels and string. All you need is love... and your very own Personalised Toblerone! 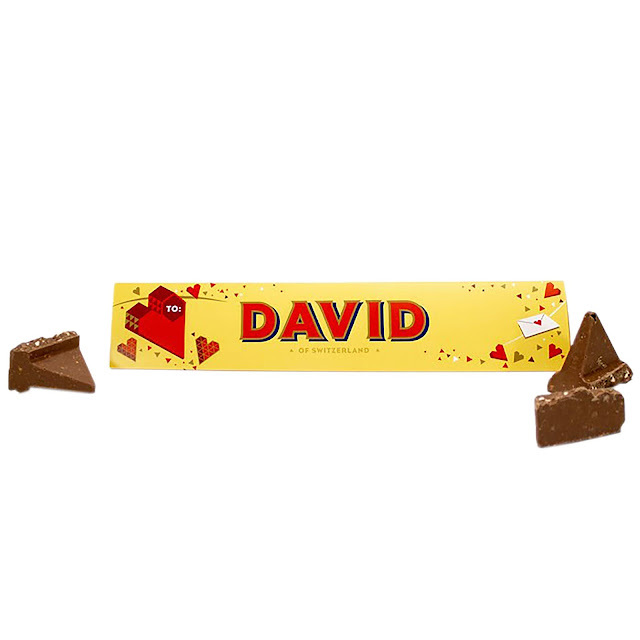 The iconic triangles and honey nougat flavour is a delicious treat for someone special. Add a name or a message to be incorporated into the iconic red and yellow packaging. 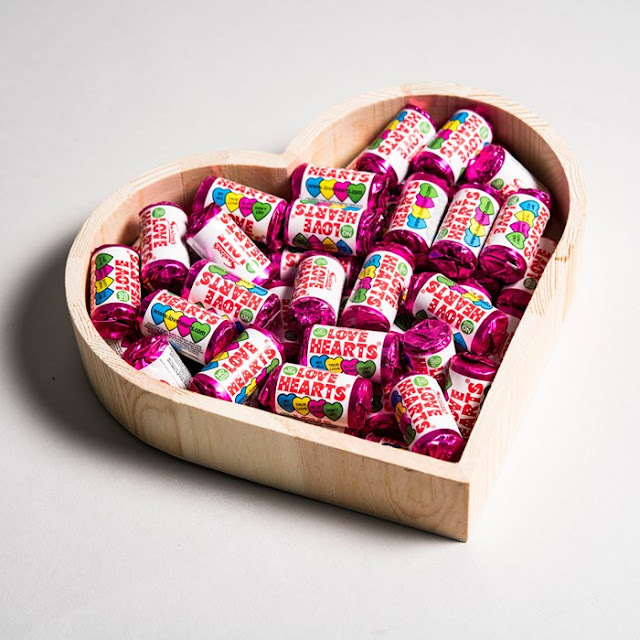 It's the perfect chocolate to share with your other half, or send to everyone you love this Valentine's Day! 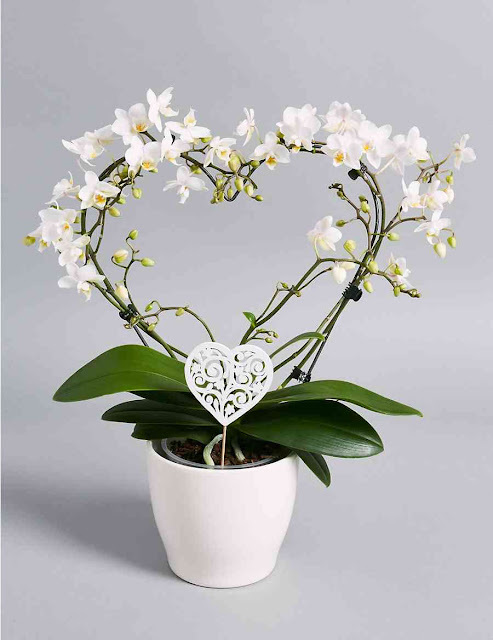 Show your love with this gorgeous Phalaenopsis Orchid in a delightful heart shape. 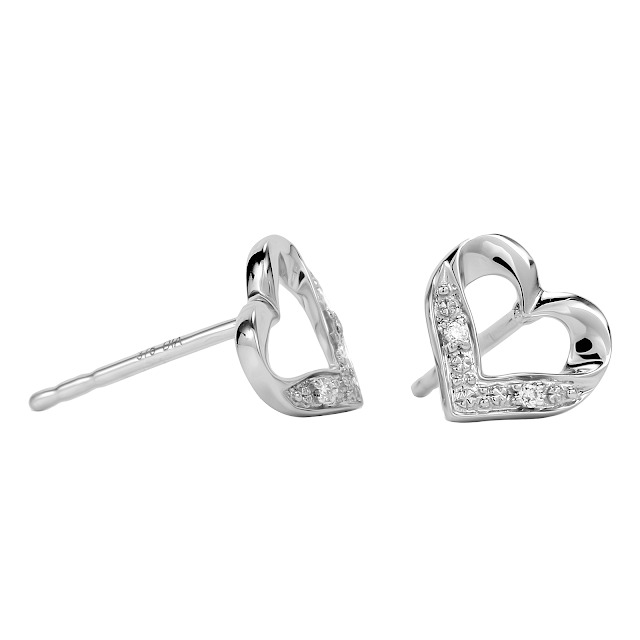 The perfect lasting gift to show your love all through the season. Pink roses represent love and admiration and this pretty Rose bush will certainly bring a smile to any Valentine's or anniversary celebration. The delicate flowers start out a light pink colour which eventually turns a rich deeper pink and opens to reveal a bright gold stamen. 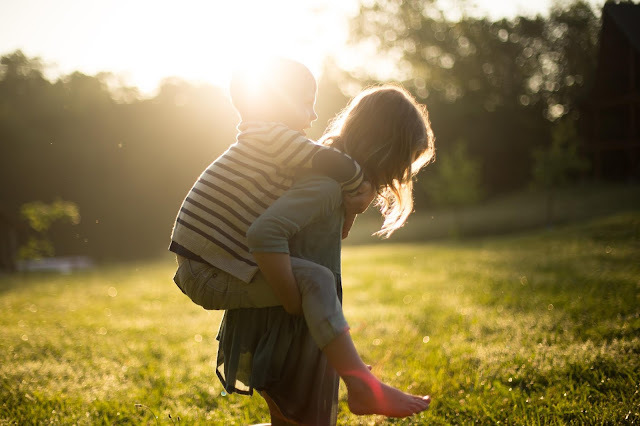 The blooms will appear continuously throughout the summer months and have a wonderful sweet perfume, bringing joy to the garden year after year. 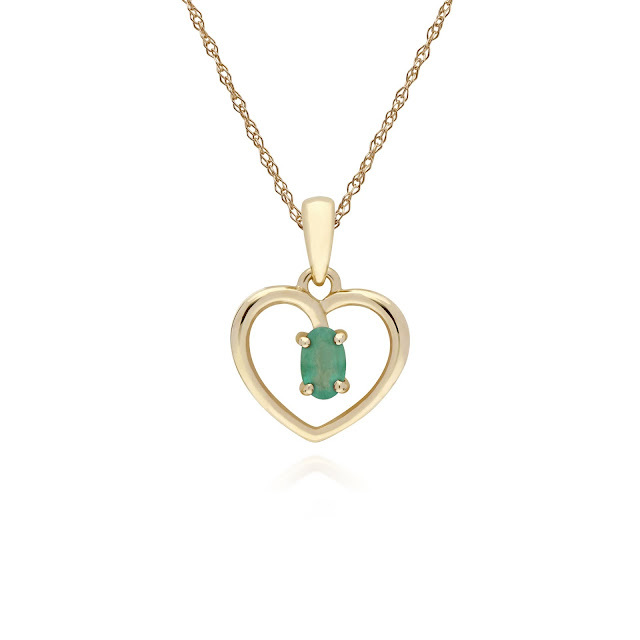 A beautiful heart style pendant crafted from 9ct yellow gold, set with single oval cut faceted emerald gemstone. This pendant comes with a matching 9ct yellow gold 45cm / 18inch chain. The classic Valentine's gift, a dozen Red Freedom™ Roses finished with eucalyptus parvi and robusta. 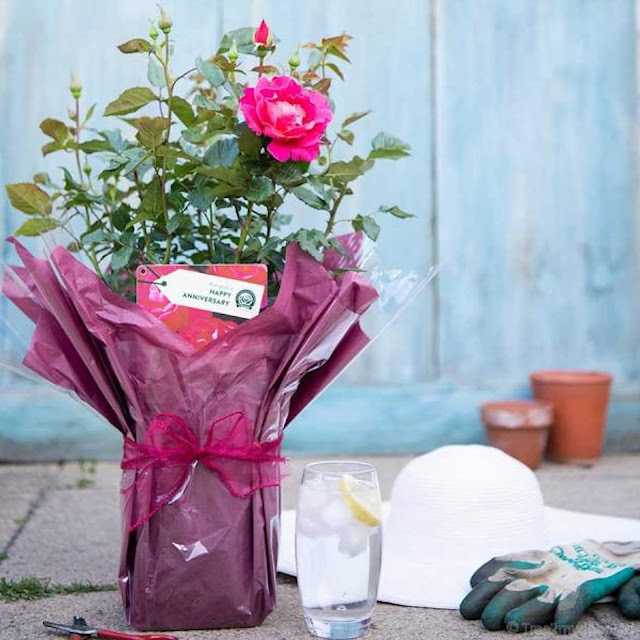 Freedom™ Roses are grown in South America by specialist growers at high altitude which allows the flower to grow slower and stronger developing a larger flower. 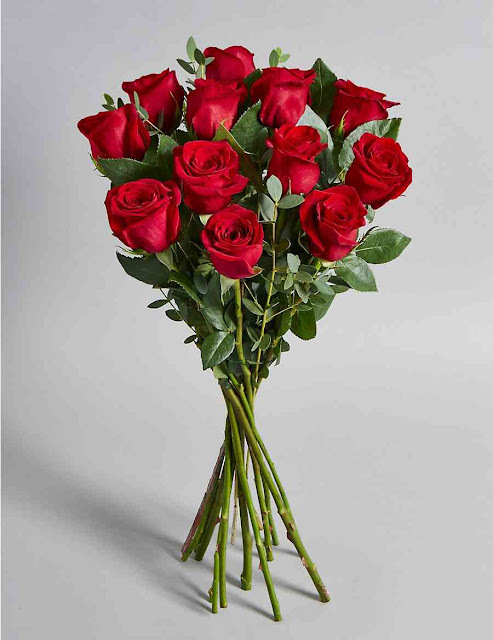 Freedom™ Roses have a natural vibrant red and velvet looking petal, which makes this the perfect Rose to gift your loved one. The red Rose throughout time reigns as the ultimate symbol of love, affection and romance. The Cuvée Rosé Laurent-Perrier was created in 1968 and is now the benchmark in its category. 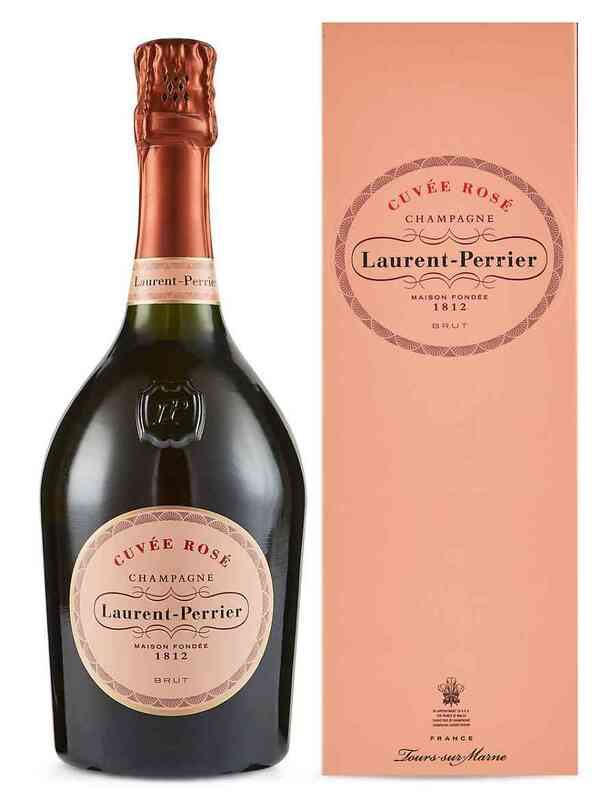 Held in an elegant wine bottle inspired by King Henri IV, this rosé champagne has been widely acknowledged for its consistent high quality for more than 40 years. Pretty raspberry hints this fresh, crisp champagne shows flavours of strawberries, redcurrants, raspberries and fine black cherries. 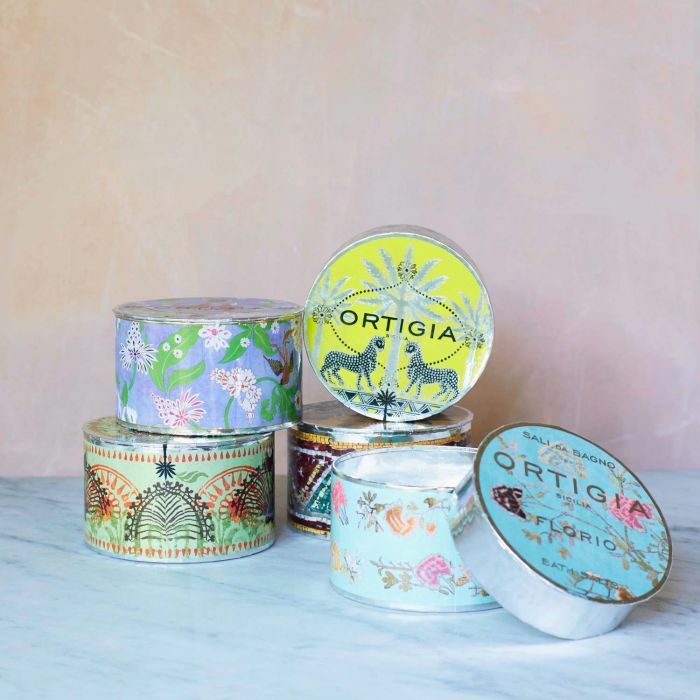 Escape to tropical Sicily with these luxurious Ortigia bath salts. Scented with natural perfumes that evoke the beautiful Italian island, just a handful will soften and infuse your bath water with the delicate scent of a signature fragance. Soothe tired limbs and tender skin with this luxurious update on an ancient tradition. Inspired by confetti lying on the ground after a wedding, Pink Hearts is Emma Bridgewater's most romantic pattern. 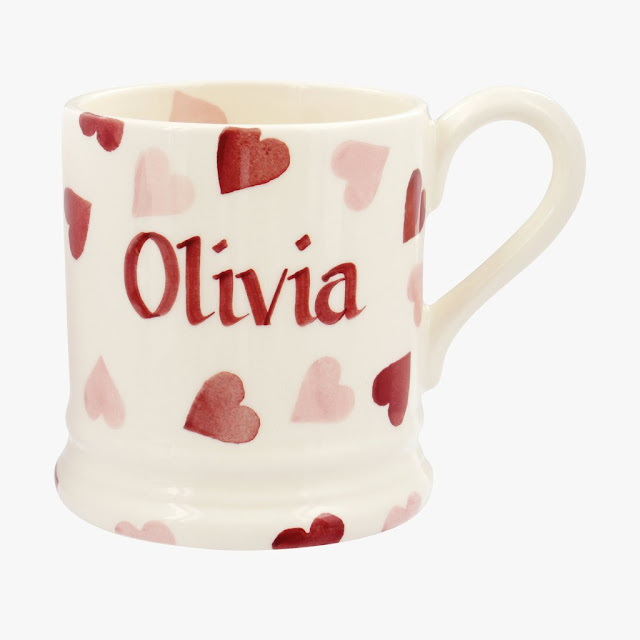 Personalise this mug with a name or slogan making it the perfect way to say ‘I love you’, ‘Be my Valentine’ or even ‘Marry me’. 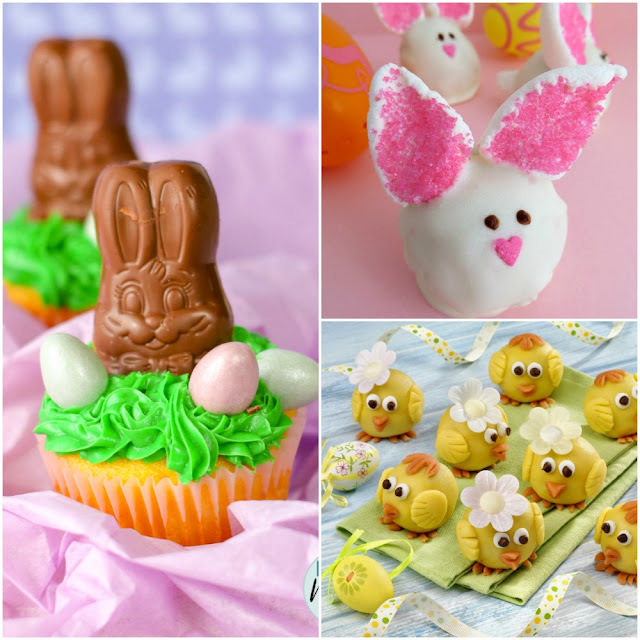 Just tell them what you want to tell your better half, and they’ll hand-paint it for you. 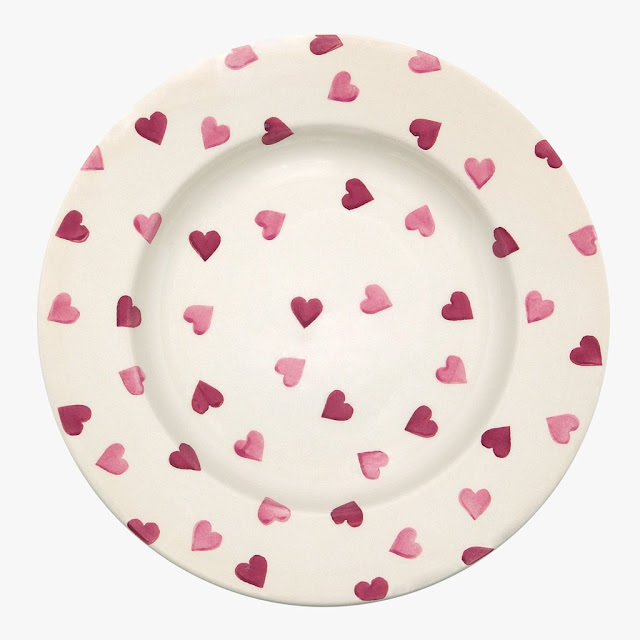 Or perhaps you could serve a romantic breakfast on this pretty Pink Hearts Plate. 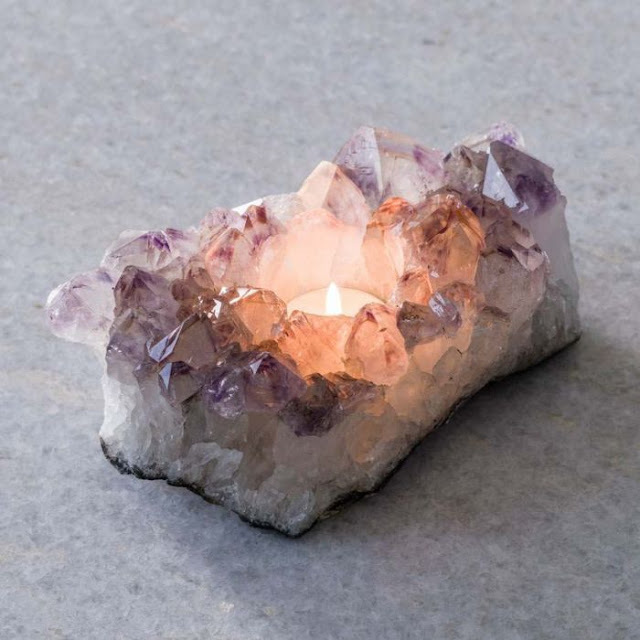 This pretty amethyst tea light holder is perfect for your spiritual partner. Meditative and calming, amethyst complements the gentle light of winter's candles perfectly. 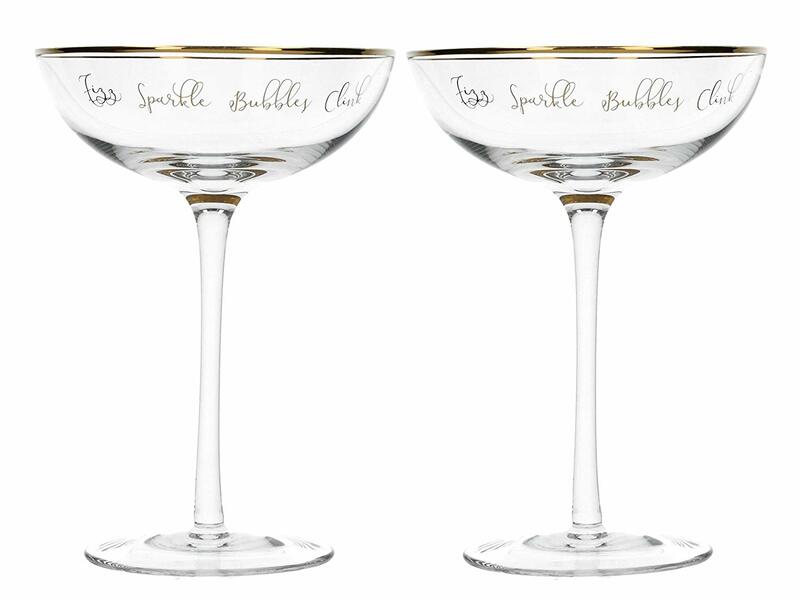 Place on a shelf, table or mantel for a striking decoration. This also makes a unique gift for loved ones. Embrace the grand gesture this year with this giant selection of Belgian chocolates in a velvet-clad, heart-shaped box tied with gold ribbon. 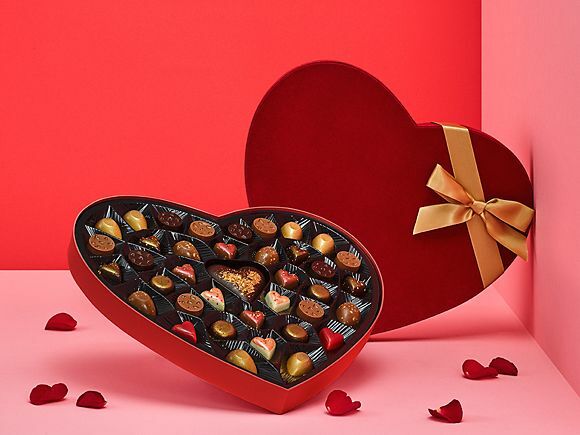 It's filled with smooth milk, dark and white chocolates with irresistible fillings, from velvety truffle to crunchy praline, beautifully presented in a heart-shaped box. 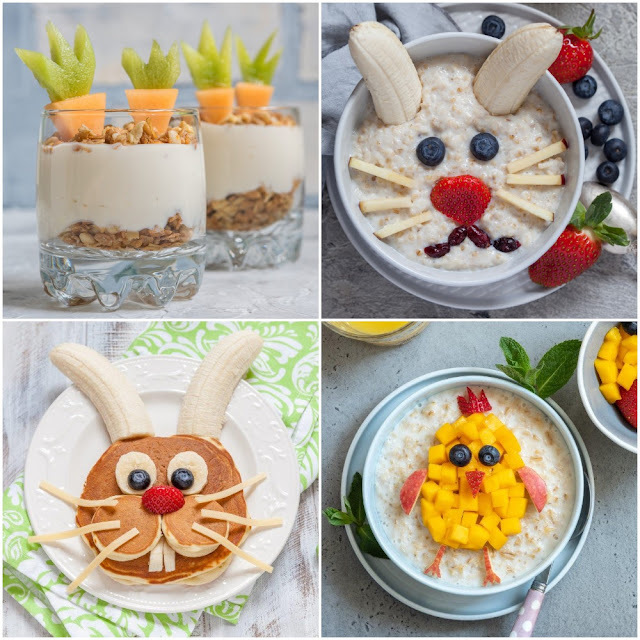 It’s just the thing, whether you’re out to impress a hot date, want to show your beloved how much you care, or fancy sending something to your best ‘pal-entine’ this year, and it can be delivered direct to their door. 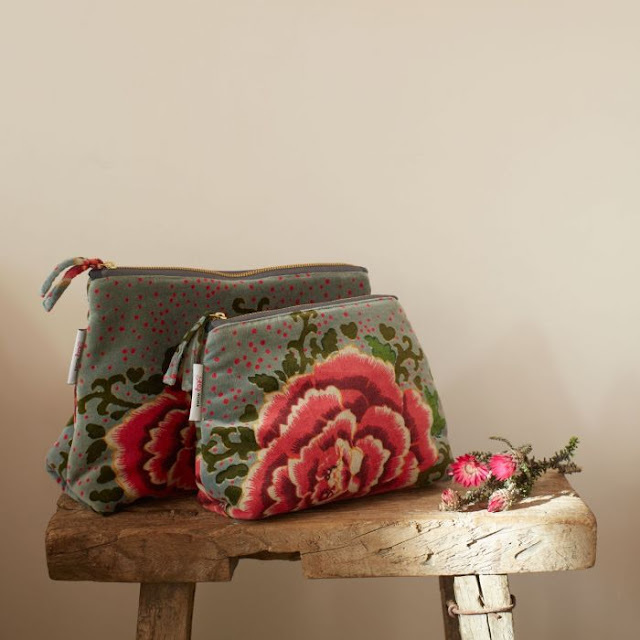 These delightful Bloom Velvet Wash Bags are made of sumptuous cotton velvet and feature a beautiful floral design, finished with a gold dotty cotton lining and metallic gold zip. Use the language of flowers to tell your beloved how much they mean to you with this beautiful bouquet. The multicoloured Language of Love contains array of roses is presented in a elegant gift bag which can be displayed instantly. 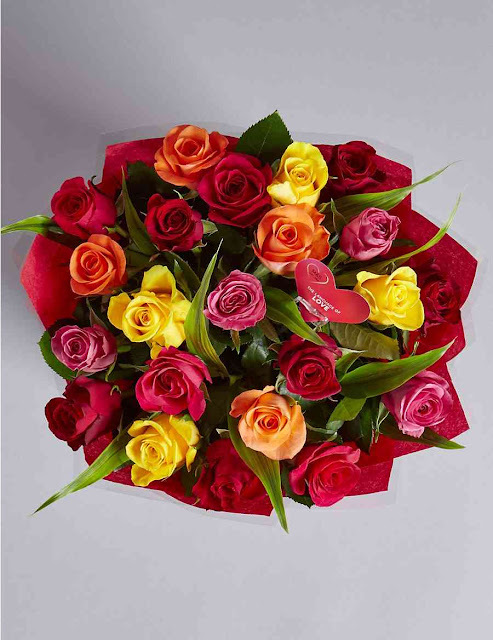 Each rose colour has a separate meaning which is displayed on a card and enclosed with your gift. 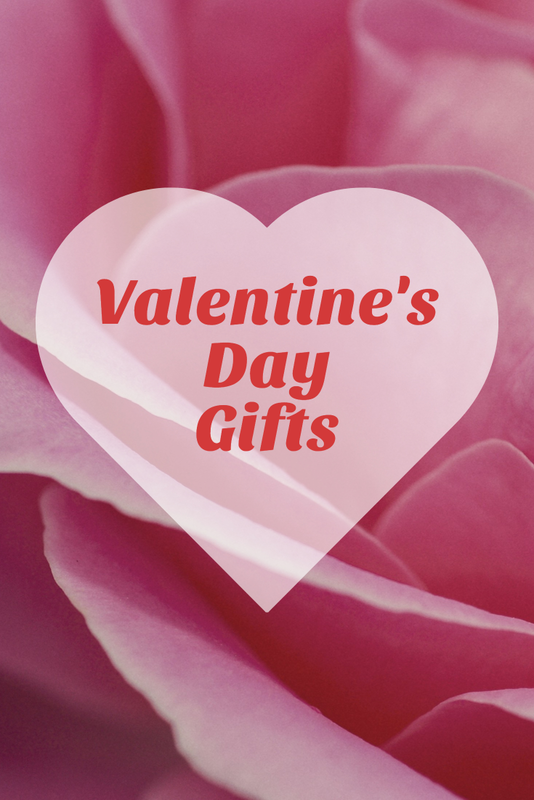 Send a floral message this Valentine's Day to show how much you care. For the ultimate Valentine's gift, treat your loved one (and yourself!) to this gorgeous Lovestruck Hamper. 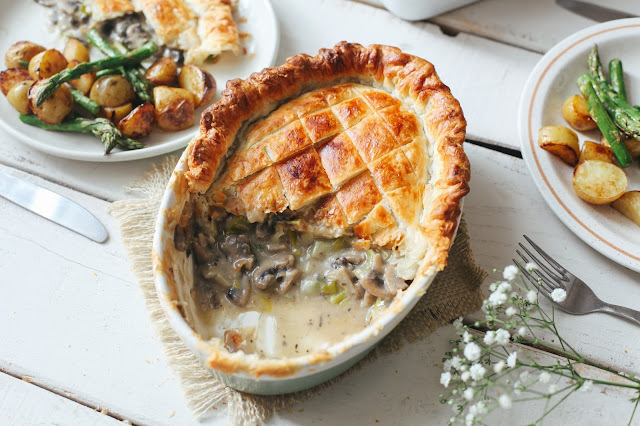 Inside the hamper lies almost everything required to dazzle your significant other this Valentine’s Day. Packed with jars of the sweetest curds, honey and preserves to teas and bubbly for sipping. 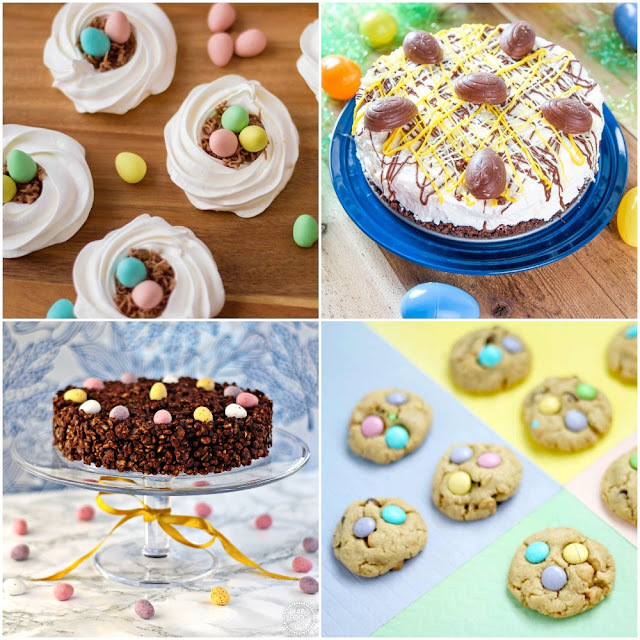 With a delightful selection of fine biscuit treats to sweep your loved one off their feet. 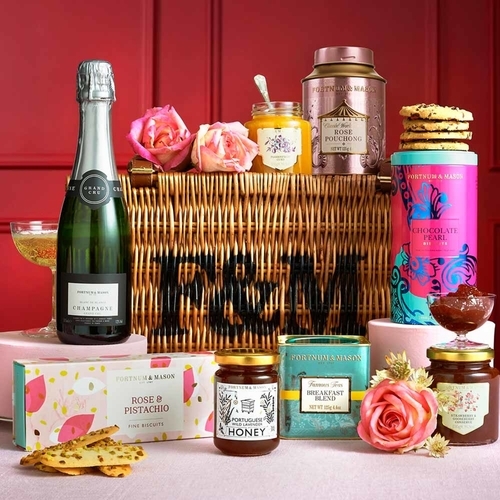 Fully packed in delicious style, this hamper is ready to woo!